Jordan Lenjosek is a graduate student at Western University, in mathematics education and computational thinking. There are numerous initiatives aimed at introducing children to the world of computer coding. A few of these initiatives explore the special relationship between mathematics and computer coding. Linking coding and mathematics can help students develop essential math concepts in a unique and engaging learning environment. Through participation in coding activities, students are provided with the opportunity to visualize abstract concepts, make real-world connections, all the while making math fun and enjoyable. Tynker is an online initiative that was launched in 2012 with the intent to teach children aged 7 to 14 how to code. 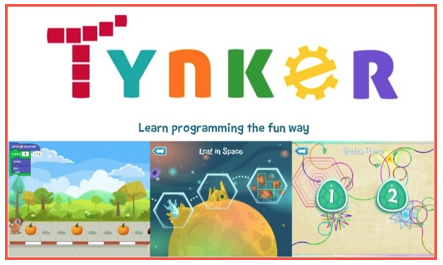 According to their website, “Tynker is a creative computing platform where millions of kids have learned to program, build games, apps, and more.” Tynker offers a variety of resources including nine coding courses, three Minecraft modding courses, and over 1000 activities. The lessons are open-ended, progress at each student’s own pace, and introduce two to three coding concepts at a time. Tynker also helps students develop competent math skills. Through their premade math and coding activities, Tynker introduces students to important concepts such as division, area, fractions, and patterning. These activities provide students with the opportunity to visualize complex concepts, foster connections between math and the real-world, all while being engaged in creative lessons. Below is an overview of what Tynker has to offer educators, students, and parents. Teachers Learning Code is a Canadian initiative that was designed by Ladies Learning Code in 2011 and is supported by Scotiabank. 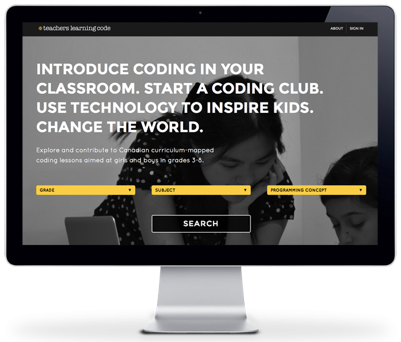 Teachers Learning Code helps inspire children to be “builders, not just consumers, of technology through coding activities and challenges.” This initiative was designed for elementary school teachers with little to no coding experience to be able to teach coding fundamentals to their students. Free workshops are available to educators which provides them with a how-to guide and a lesson planning tool so they can effectively implement coding activities into their classrooms. Teachers Learning Code offers lessons that integrate math and coding together through a variety of online and “unplugged” activities. These lessons provide fun, hands-on, and team-based exercises to help students learn math through coding. The lesson plans also include extensions, modifications, and learning outcomes. How can you introduce it? Bebras is an international initiative born in Lithuania in 2003. This initiative was created by Dr. Valentina Dagiene in an attempt to promote informatics and computational thinking among the public at large. Bebras is the Lithuanian word for beaver. The initiative was named after the beaver because of its “hardworking and persistent” nature – a feature it believes it can develop in people who participate in its challenges. During each challenge, participants have the option to work independently or in a group. Once they are logged in, participants have 45 minutes to complete 15 problems based on various levels of complexity before the timer locks them out. The problems are set at various year-levels and within each year-level the problems are categorised into levels of difficulty. Each challenge contains a set of multiple choice and interactive questions. Teachers can sign their students up for the challenge and will be sent an in-depth report of their results (includes scores, aptitude, and certificates). All you need to register and participate in the Bebras challenge is an internet connection. Due to the logical structure inherent in the questions, some teachers have also found it suitable to use the Bebras challenge to engage their students in mathematics and problem-solving.